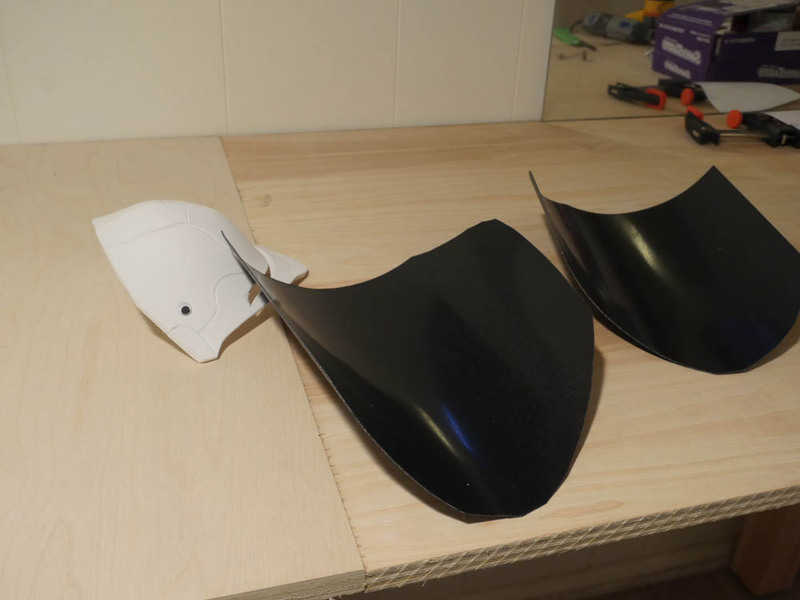 We asked Neocoolstar Cosplay to create a tutorial for us using Worbla’s Black Art, and she created this writeup on how she created her Shoulder Pauldron for Sarah Kerrigan from Star Craft 2. 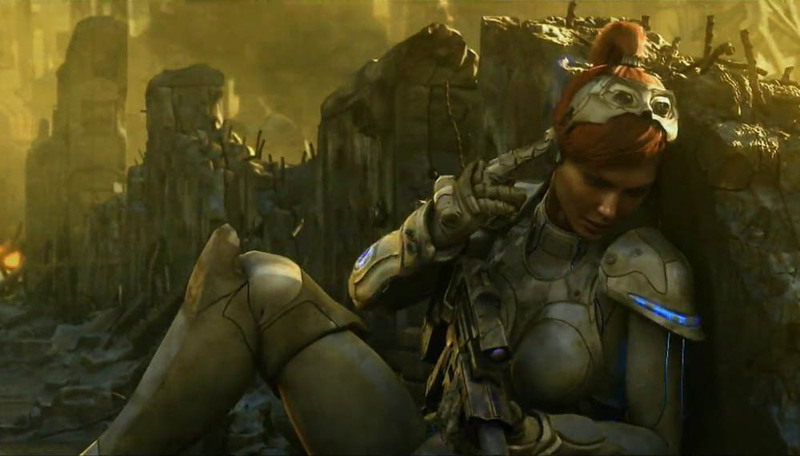 Human Sarah Kerrigan doesn’t have a lot of reference photos, but before she became part of the Zerg, she was a Confederate ghost. Since Nova is a ghost in the same universe, you can use her armor design as reference. But I’ll be using the cut scenes in Star Craft 2 to get my references for Kerrigan’s armor. 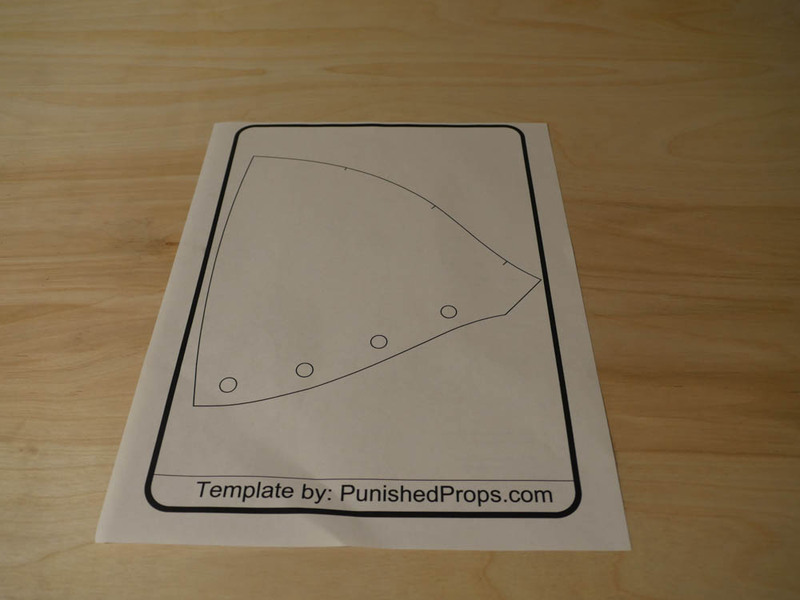 I started out with a free template from PunishedProps.com, cut it out, and traced the pattern over foam. 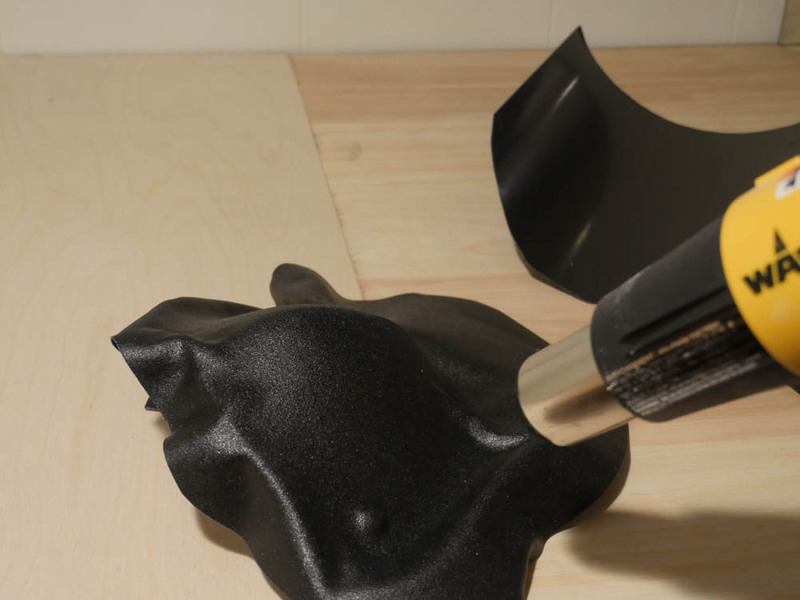 Once the foam is cut, I use Weldwood Contact Cement to glue the two foam pieces together. 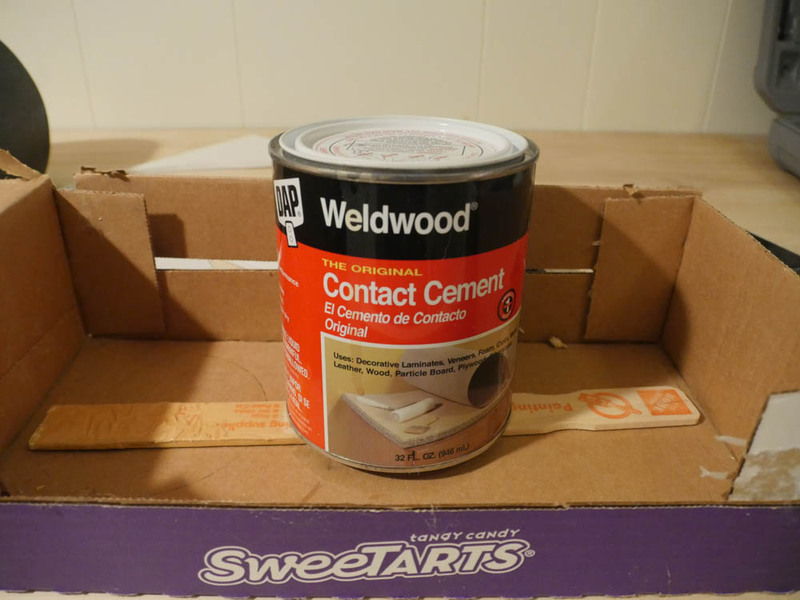 Pro Tip: To speed up the contact cement curing process, use a heat gun on the glue until it bubbles and dries. 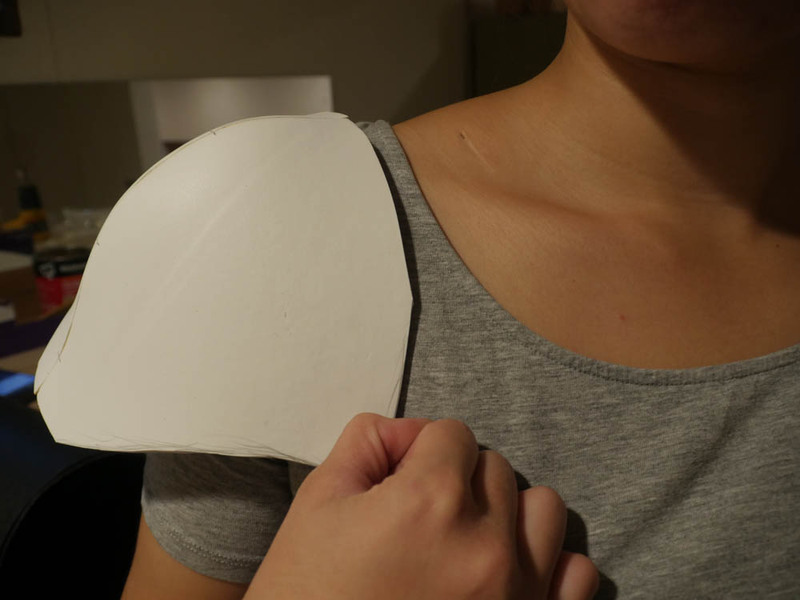 I placed the glued foam on my shoulder to test how it would look relative to my body. 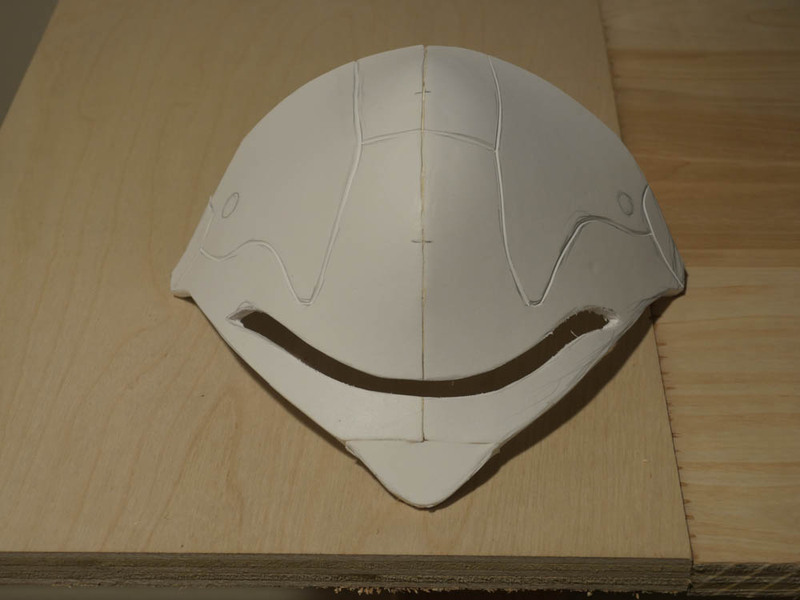 Then I made marks to redefine the shape so it looked like Kerrigan’s armor piece. 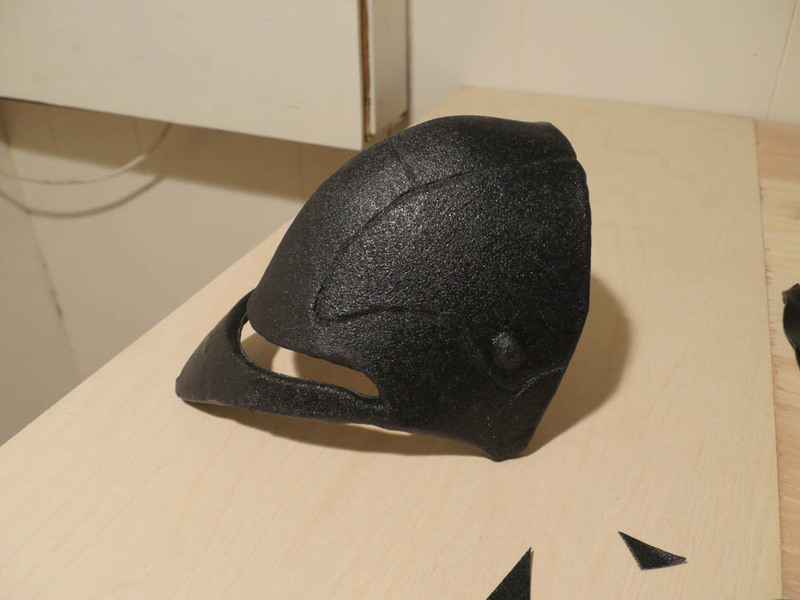 The tip is more pointed so I added more foam to the end with contact cement. 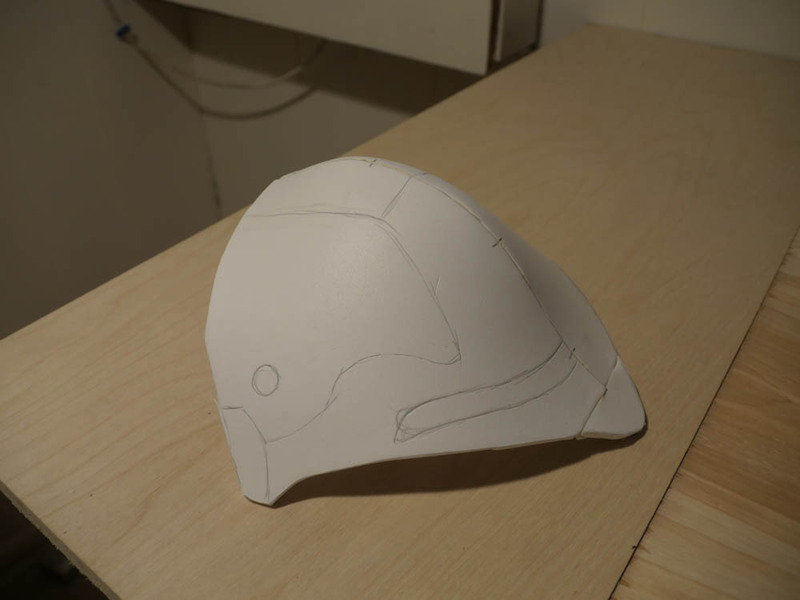 Now the piece is ready for details. 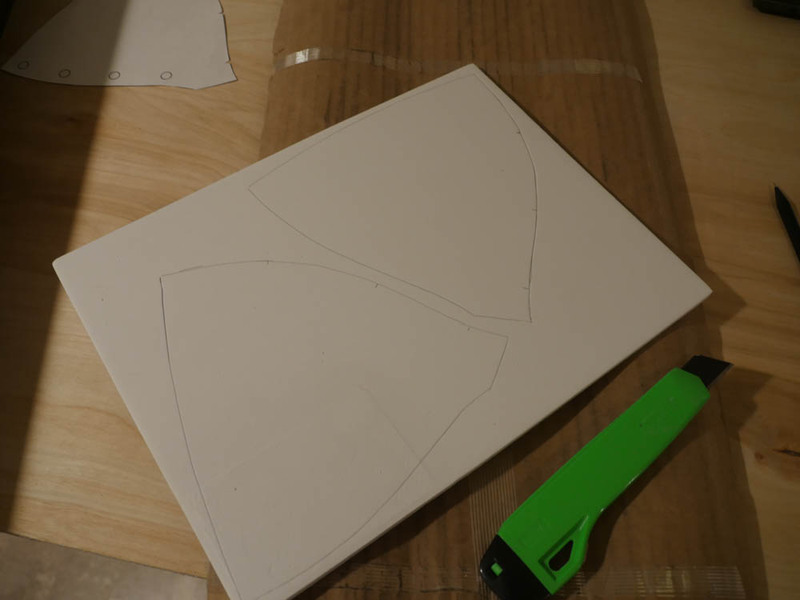 Here I just eyeballed the design, drew it on the foam, and made shallow cuts with a box knife. 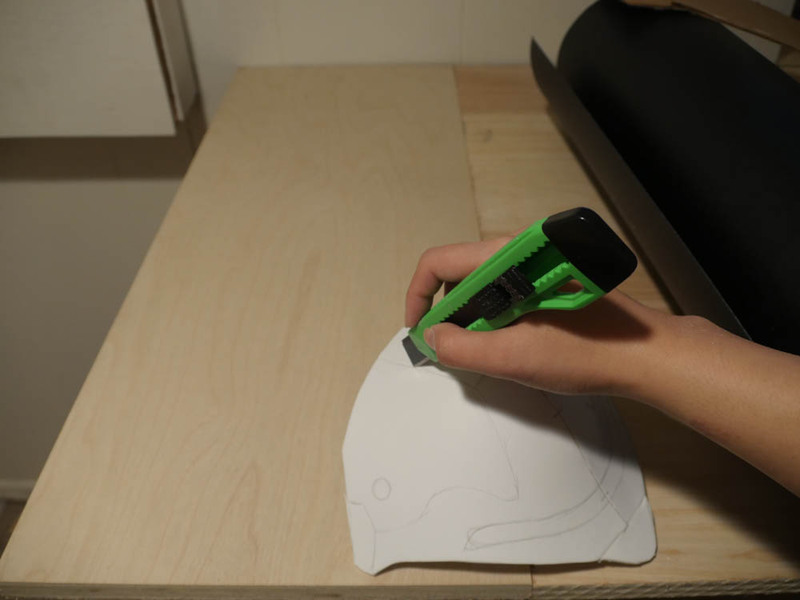 I then heated up the cuts to open the foam. 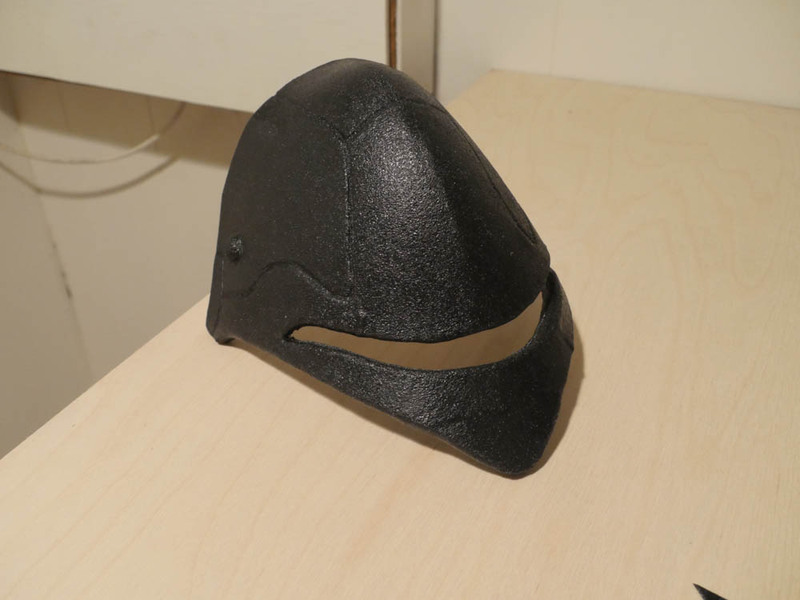 I also added googly eyes for the rivets. 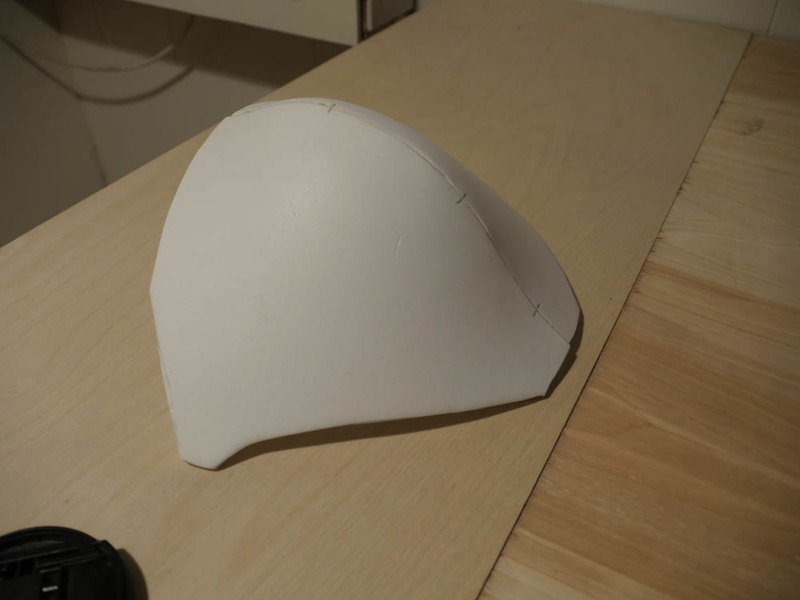 Here was the difficult part. 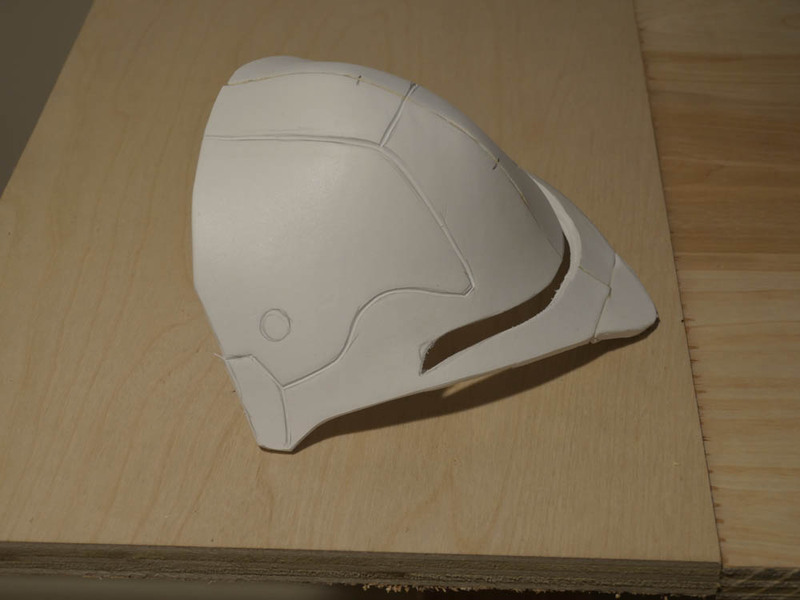 Worbla does well with uniform caved objects like spheres. 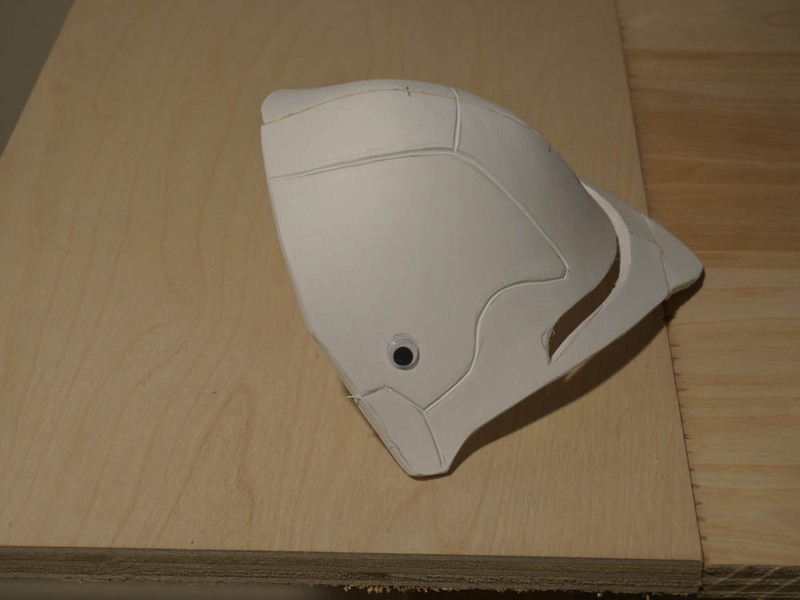 My shoulder armor had caved and concave areas as well as a cut out which would be where I’d include transparent Worbla to the piece. 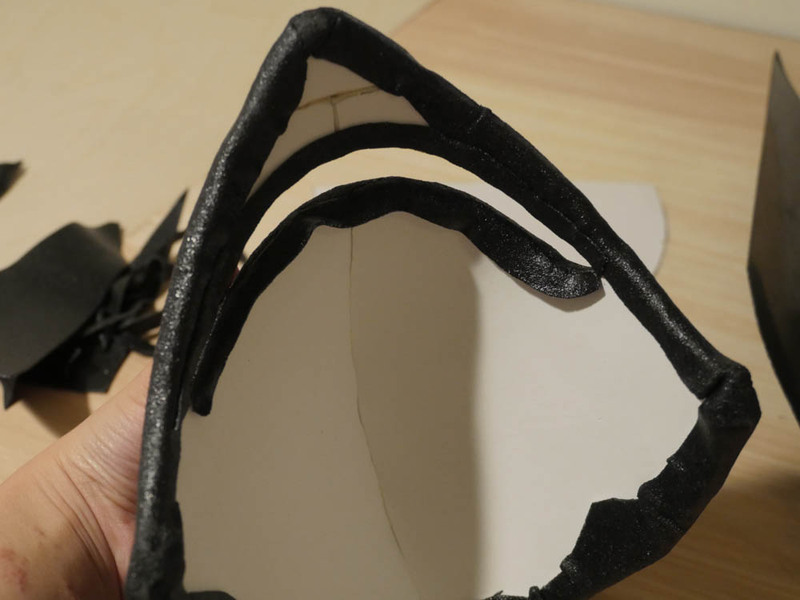 Since I didn’t have transparent worbla at the time, I had to leave it as an open hole. 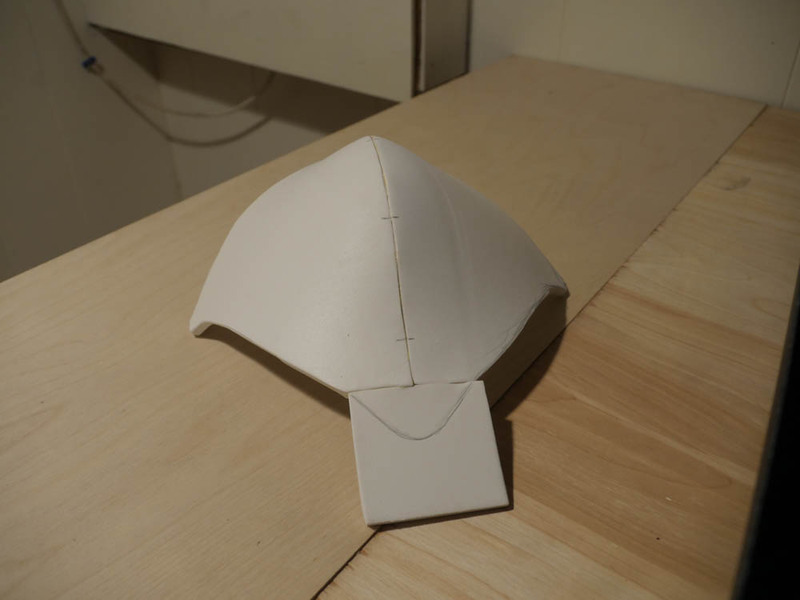 This whole process takes time and requires a bit of coaxing for the Worbla to wrap around certain areas. 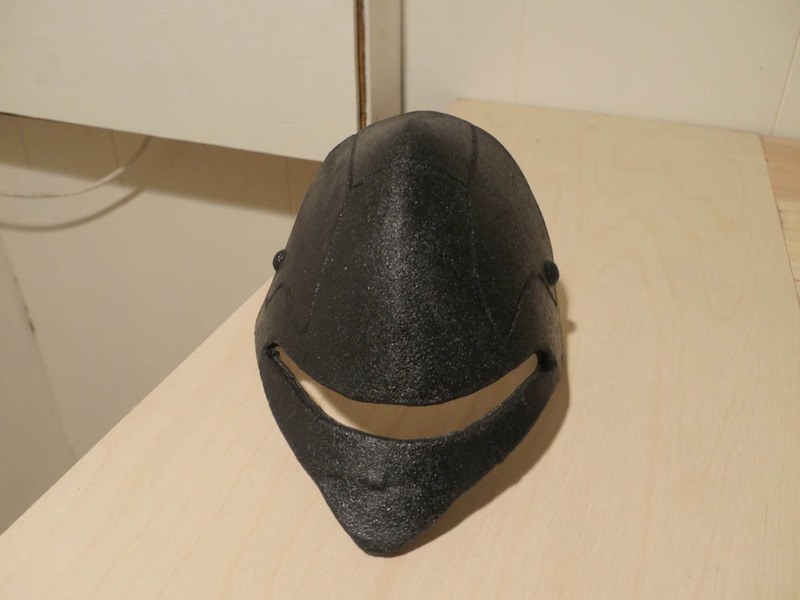 It did break in certain points where I’ve stretched it too thin, but I patched it with scrap Worbla since the new Worbla still maintains its self-stick property. 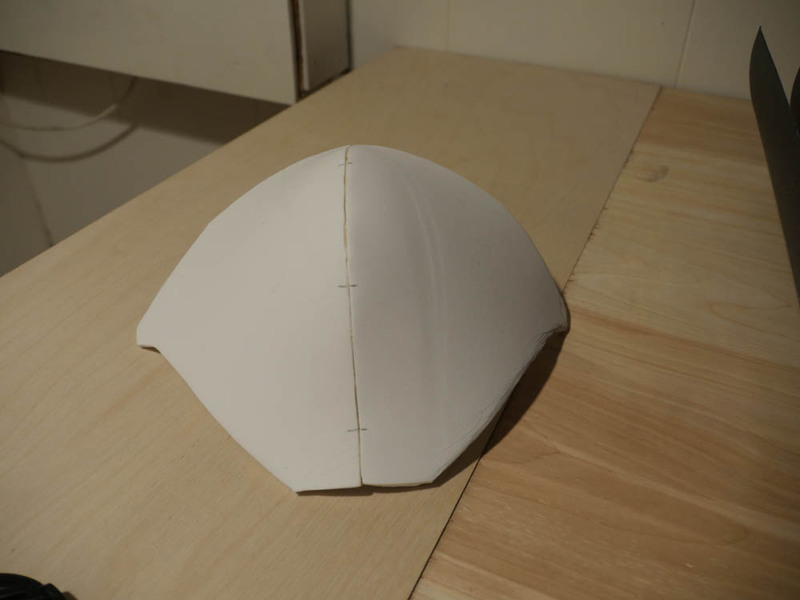 Here I finished wrapping worbla around the piece and took some of the extra worbla lying around to see if I can still roll it into a pipe which is typically used for decoration. 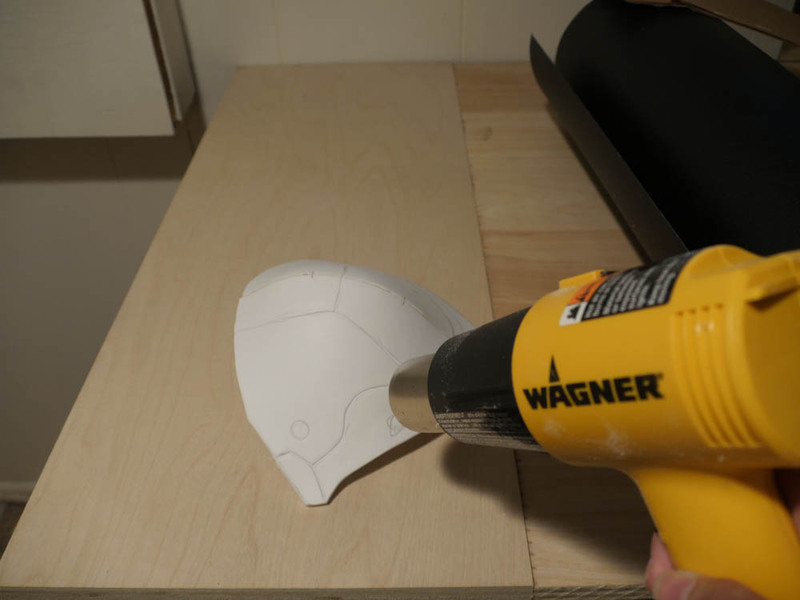 Here I’m cleaning underneath the Worbla where the cutout is. I did the wrap method since that’s the method I’m most familiar with and it has saved me money in the past. 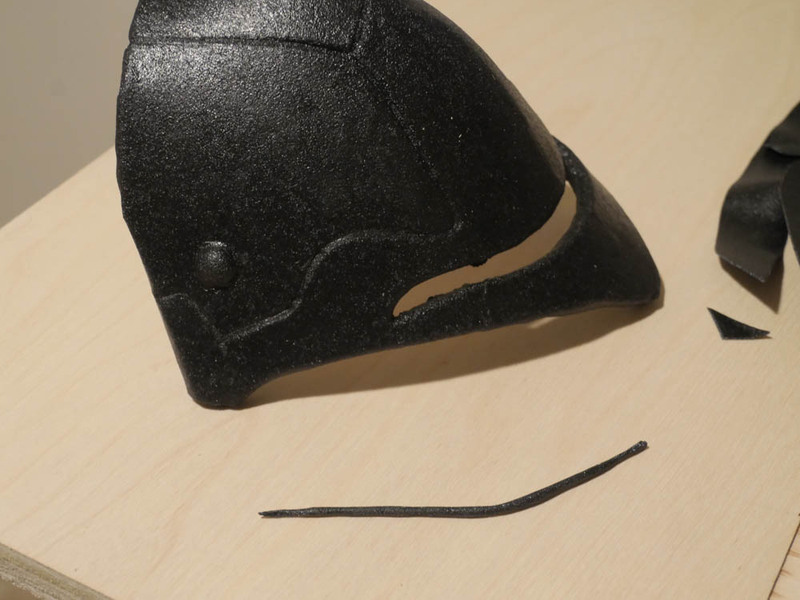 Also, people won’t typically see underneath your armor piece.